Looking to lose weight? Fret not, we're here to help. Various health experts and nutritionists around the world often suggest exercising and maintaining a healthy diet. We often end up trying various weight-loss diets to shed those extra kilos. However, if you are looking to lose some quick pounds, you may want to speed up the weight loss process by consuming this two-ingredient drink. Made with honey and cinnamon, this weight loss-friendly drink could possibly accelerate your weight loss process to a great extent. According to Ayurveda Expert, Dr. Ashutosh Gautam, "Cinnamon improves lipid breakdown in the body that would lead to weight loss. 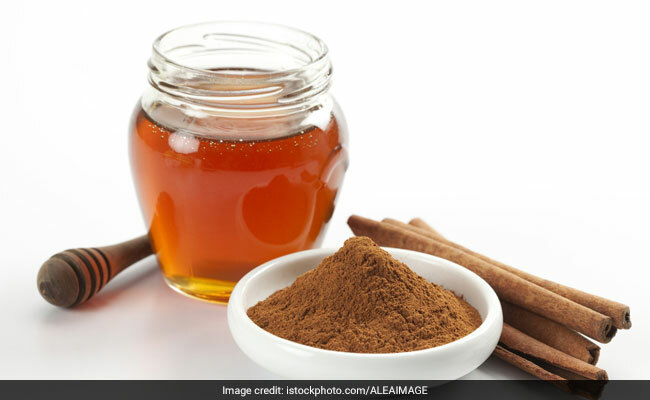 A pinch of cinnamon and 1 teaspoon of honey early in the morning would be fine." 1. To begin with, take a bowl and add water in it. Allow it to boil. Then add cinnamon stick or cinnamon powder in a separate cup and pour the boiling water into the same. 2. Allow the water to soak up all the nutrients of the cinnamon and let it sit for around 10-12 minutes. 3. Once this is done, strain the concoction and add honey to it. This two-ingredient drink could boost your metabolism to a great extent. Note: Honey and cinnamon both are loaded with health-benefiting properties. Honey helps in boosting body's metabolism, which further promotes fat loss. Whereas, cinnamon helps in the cleansing process and gives a feeling of satiety and fullness, thus preventing unnecessary food cravings.